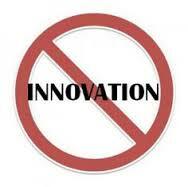 what have you done to kill innovation today? People are naturally creative and inventive. Most of it has been squeezed out of a person by the time they enter the workforce, but a little always remains. Creativity and innovation are the bane of exacting accuracy and efficiency. Trying something new or different slows things down and introduces errors and variability into processes. It flies against the virtues of the status quo and state of the art best practices. Who you hire is crucial to the company’s future. If there is a preferred “type” for your organization, hire those people. Sometimes it’s pretty obvious – ethnicity and gender are easy to play to and that’s really an amateur move. A pro knows that sometimes you have to dig a bit to find what your company really values. Maybe it’s only hiring people from one or two preferred colleges. Maybe it’s a preference for a specific major or having worked for a certain competitor. Maybe it’s seeking people from a specific church or with particular social interests. Maybe it’s fashion sense or a certain hairstyle. Maybe it’s living in a certain suburb or neighborhood. Whatever it is, you’re wanting to make sure everyone is as similar as possible. Remember: any diversity (including backgrounds, thoughts, experiences, perspectives, etc.) goes hand in hand with creativity and innovation. The more that people in the organization resemble each other in every aspect, the less disruption there will be. Foster an environment where being (or at least appearing) busy is paramount. There’s no time for thinking because thinking doesn’t look busy. If people have time to think, they don’t have enough to do. Put policy above common sense, business sense, human decency, or anything else really. Policy exists for a reason. Never introduce variety into the day. Even go as far as keeping the same meetings at the same times in the same locations. Every time. Don’t be tempted to skip a meeting if there’s nothing pressing and never hold it in a different location. Variety sparks creativity. Let a philosophy of sameness guide your leadership. Questions only lead to ideas. If you do have to ask a question make sure is a yes/no question. Never ask an open ended question unless you already know the answer and it’s still best to make it an obviously leading question. Remember, you don’t actually want new answers or ideas, you only want to reinforce the ideas you already have. 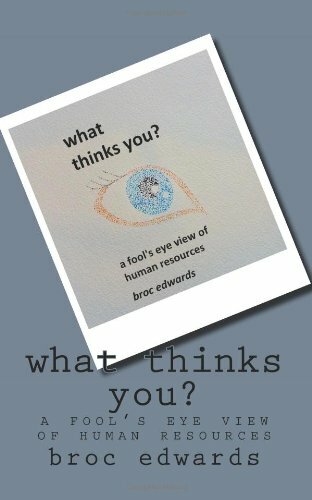 Even though you never want to ask a real question, a great technique for eliminating new ideas is asking for people’s ideas and then never, ever do anything with them. This does two things: 1) it identifies your trouble makers; and 2) it subtly helps people figure out their ideas aren’t wanted and they’ll soon stop making any suggestions for improvement. If someone has a new idea, never ever seek to understand. Obviously you don’t want new ideas – that means change and doing things in new way – so why waste time learning about something you’re never going to do? Better to show strong leadership and gently ridicule the idea. Be condescending and have pity for any person dumb enough to suggest such a thing. Then move on. If a new idea somehow gains traction always insist that it be fully developed and perfected before being put into action. Never allow people to pilot an idea with a small group in a low risk way. Never allow an idea to be launched and improved through rapid iteration. Always insist on it being perfect from the start. If the idea somehow ever gets put into use, be sure to react strongly to any stumble and use that as a reason to neuter the idea or shut it down completely. Benchmark your competition to make sure you are doing everything exactly the same. Obviously, the only way to get ahead of your competition is to do everything just like them. This is called “best practices” and can be used to justify any failure. As long as you fail just like everyone else, no one can ever criticize you (but fail in a different way and you’ll become everyone’s whipping boy – that’s why you don’t want to be different). Reward tenure above all else. Even new hires will quickly understand that advancement comes from keeping your head down and agreeing with upper management. Those who do enter the company with any ambition or creativity will become immediately frustrated and soon leave. Problem solved. Oddly, even though you obviously want unchanging status quo and unvarying efficiency, it’s trendy to talk about the importance of innovation. All businesses have to do it so they look modern. Don’t worry, it’s just lip service. Just tell your employees things like: I want you to take chances on new ideas, but you better not fail. You can espouse the need for creativity and innovation and, as long as you make it clear that it’s better to fail by doing nothing that it is to fail by doing different, nothing will ever change. There you are. It’s not an exhaustive list, just some ideas to get you started on eliminating creativity and innovation from your team or even organization. Again, people are naturally creative so you’ll have to be persistent to create and continually reinforce a culture of consistent sameness. Good luck. ← do you prevent great talent from applying? Just read this brilliant piece of writing.